Commonly named the lantern fly family, the unusual and charismatic Fulgoroidea family of plant hoppers traceable to the Early Cretaceous when flowering plants also began to evolve and diversify. 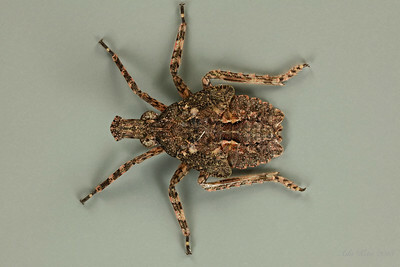 Eurinopsyche sp. (Fulgoridae, Amyclinae). Long-nosed Lantern Fly. This individual had escaped from a spider web, hence quite a bit of cobwebbing remains.